Barbera d’Asti is one of the most widely planted grape varietals in Piedmont: it is a young, fresh, fruity wine and because of its good acidity it is a perfect accompaniment to any meal. 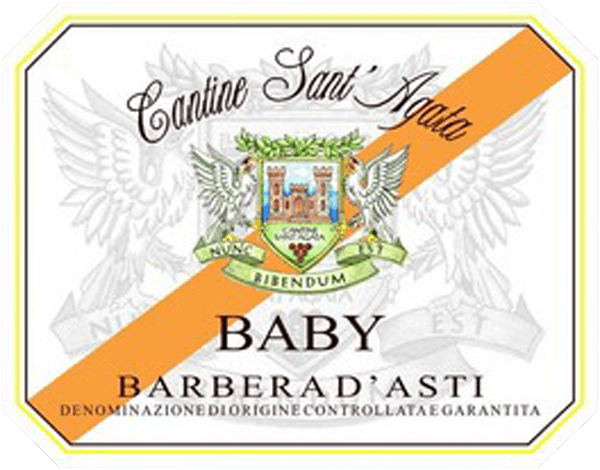 This barbera is the ‘Baby’ of all the Sant’Agata wines because it is young, fruity, fun, pure fruit unmasked by any oak ageing. It is delicate and fruity on the nose and palate. It can be enjoyed at any time, alone or with food, especially coldcuts, meats and all sorts of pastas. A GREAT VALUE WINE! 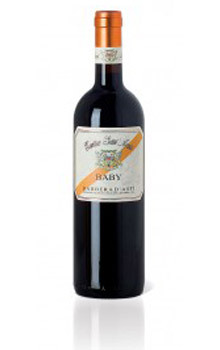 Barbera d’Asti is one of the most famous wines from Piemont. It became a DOC in 1970 and was upgraded to its DOCG classification in 2008, adding to Piedmont’s already impressive standing at this highest level of Italian wine classification. 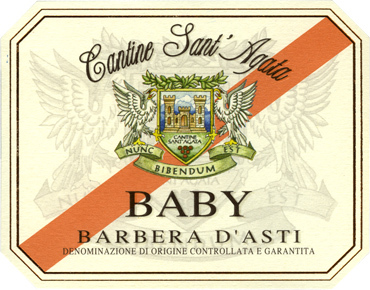 The Barbera d’Asti title covers the area around the town of Asti. Softer and more approachable in its youth than the Nebbiolo used to make Piedmont’s most prestigious wines, Barbera is a firm favorite among winemakers and consumers. It is also the region’s most widely planted red-wine variety. Its lively acidity makes it a perfect food-friendly wine. Maceration for 8-10 days at a temperature of 28-30° C. Malolactic fermentation in stainless steel tanks.